Pour 750ml hot water into a saucepan and pop in the tea bags, peppercorns and salt, stir to infuse, and bring to the boil. Turn down to a simmer and add the chicken breasts (they should be completely immersed in the water, if not, add a little more water.) Cover with a lid and simmer for 12 minutes or until just cooked through. Remove from the poaching water and allow to cool on a plate. 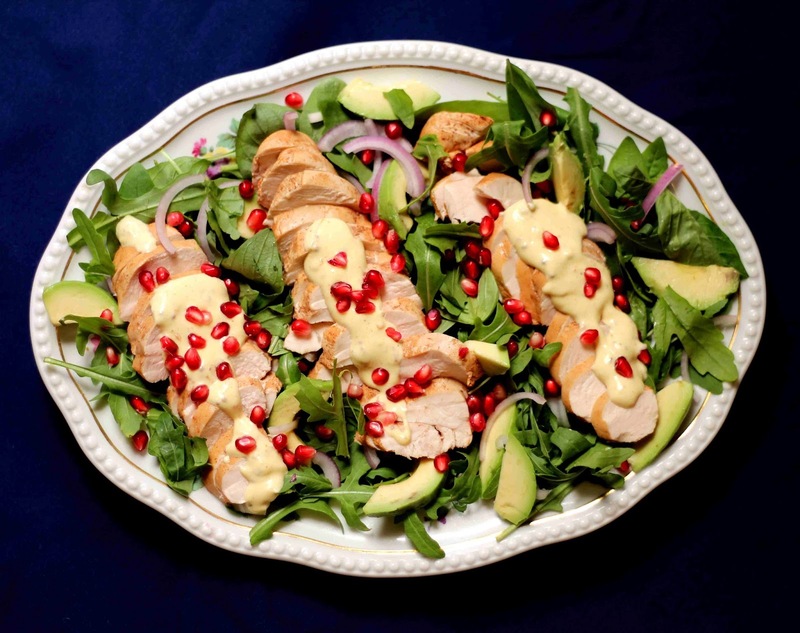 To make the dressing, simply stir all the ingredients together until they're well-mixed. Once cooled, slice the chicken breasts into even slivers. 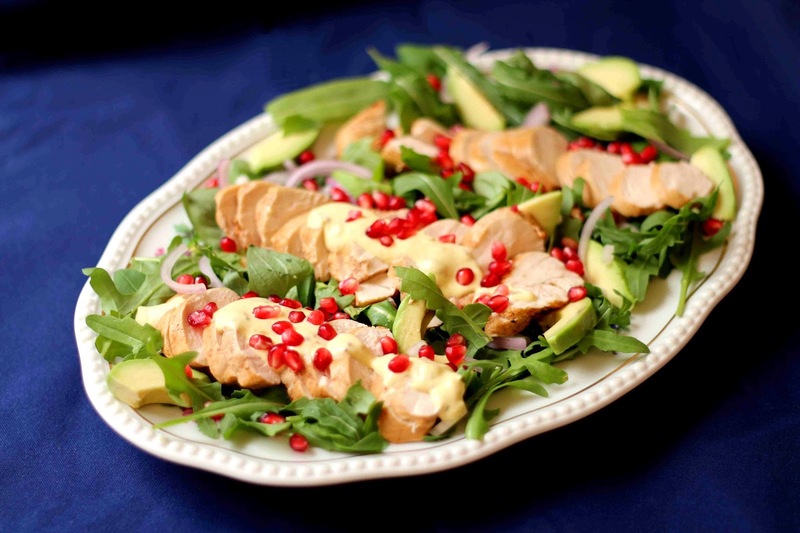 To make the salad: layer the rocket, avo and red onion in a serving dish and top with the chicken. 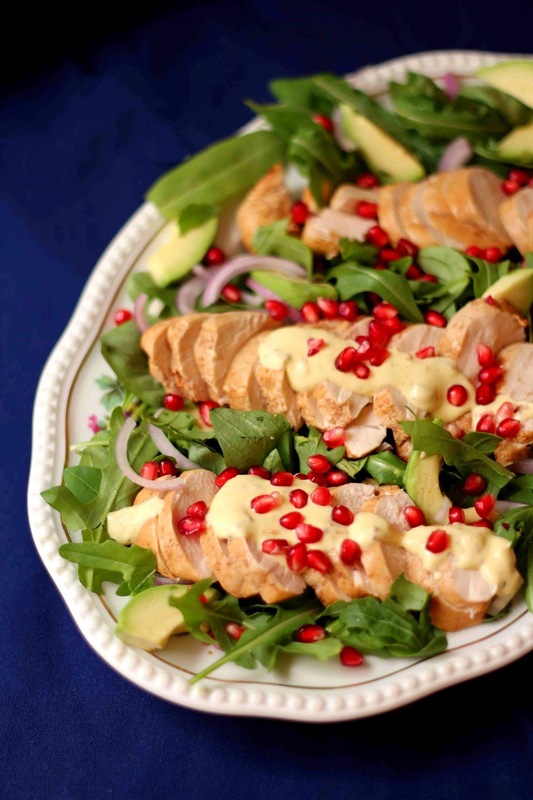 Spoon over the dressing and sprinkle over pomegranate seeds.